SPRING EVENTS - Western Mass Premieres! - Out For Reel! SPRING EVENTS – Western Mass Premieres! Social Hour: 6-7pm Come early! 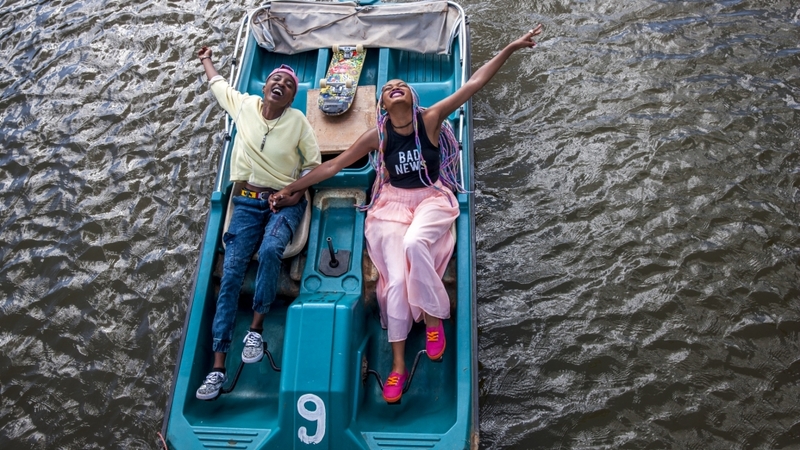 Bursting with color, RAFIKI, which is Swahili for friend, is a tender love story between two young women in a country that still criminalizes homosexuality. Kena and Ziki have long been told that “good Kenyan girls become good Kenyan wives” – but they yearn for something more. Despite the political rivalry between their families, the girls encourage each other to pursue their dreams in an ultraconservative society. When love blossoms between them, Kena and Ziki must choose between happiness and safety. Rafiki has won international acclaim and awards but it is still currently banned in Kenya because it “overtly promotes lesbianism.” It is illegal for Kenyans to watch this film. Join us in watching this beautiful love story in honor of all LGBTQ+ people in Kenya who are denied legal access to this film and who are denied all legal rights to love who they want to love. 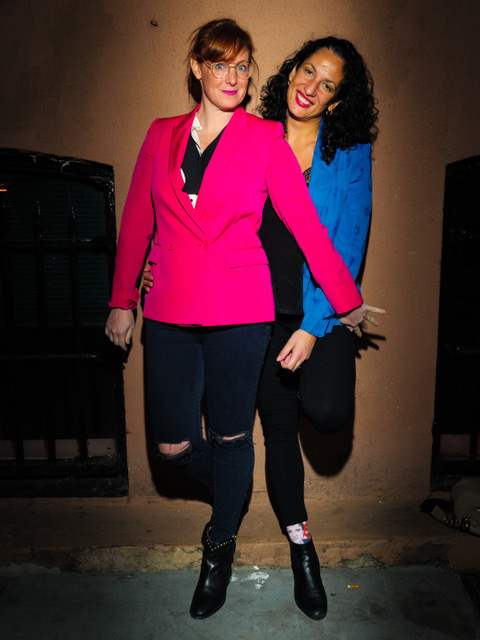 Comedians Jess Salomon and Eman El-Husseini perform together as “The El-Salomons” rifting with unending wit and political savvy about being a lesbian Jewish-Palestinian married couple in this world we live in now. They share (and joke of course) about their differences and their love of their differences and how they move through life together with laughter and respect. This very unique power couple is talented, smart, and right on the money hilarious! 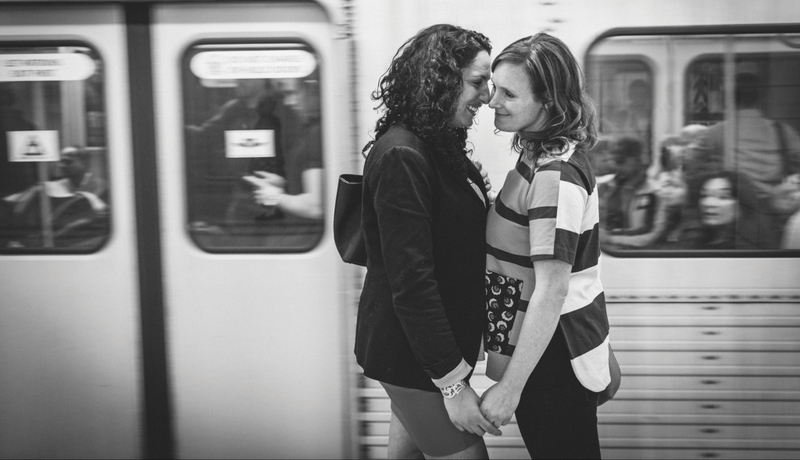 Jess Salomon (hilarious comic) and Eman El-Husseini (also hilarious comic) met and fell in love at a comedy club in Montreal nearly a decade ago when a friend of theirs suggested, “you two should kiss”. Now based in New York, The El-Salomons perform all over the U.S. and Canada making people laugh, spreading love, raising consciousnesses, and trying not to get a divorce. Come join us for a wonderfully delightful evening of fun!